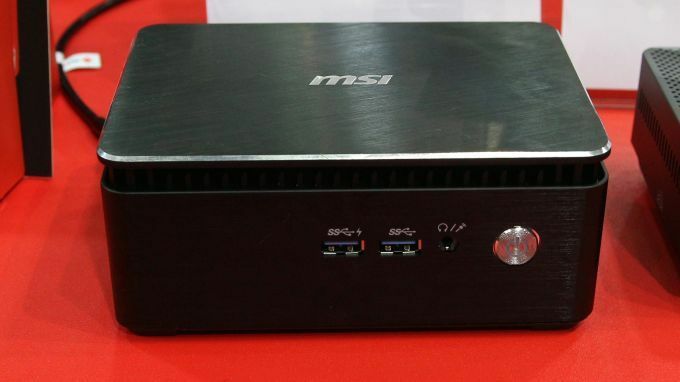 A fanless 15W Kaby Lake-powered mini desktop is a new addition to MSI’s Cubi line of small form-factor PCs. The MSI Cubi 3 might pack a 15-watt Intel Kaby Lake U-series processor rather than a quad-core variant, but MSI is betting that the ULV CPU will be is ideal for most office and casual livingroom-oriented computing and entertainment purposes. Although ULV CPUs are mostly used in svelte ultrabooks, the Cubi 3 justifies its CPU and blocky aluminum chassis by being fanless. This makes it ideal for living rooms, offices, or other environments where even the sound of a small fan could be noticeable and unwanted. Along with the standard two DDR4 RAM slots (supporting up to 32 GB memory), a 2.5-inch drive bay as well as an Intel Optane supported m.2 2280 SSD slot are also present. The MSI Cubi 3 also has a relatively good port selection: Six USB ports are complemented by two Ethernet jacks, two COM ports, and both DisplayPort and HDMI ports. With its 15-watt CPU and lack of dedicated graphics (or Thunderbolt 3 port), this mini-PC won’t be able to handle anything more than the most rudimentary of casual/indie titles — but the enhanced hardware decoding capabilities of the Kaby Lake line of CPUs mean it can push out 4K content effortlessly. Pricing remains unconfirmed at this point, but the Cubi 3 is said to be available this fall.